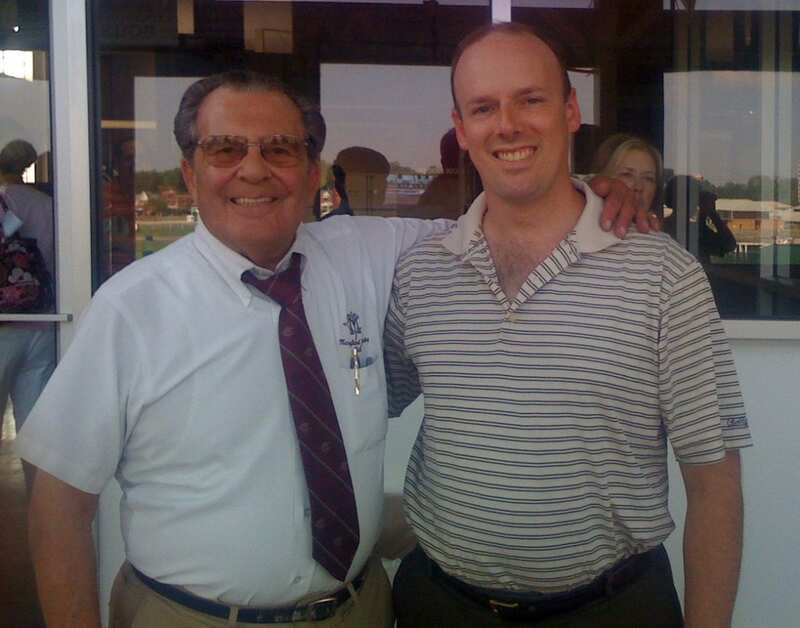 Jorge Vargas, Jr. Photo by Jim McCue, Maryland Jockey Club. 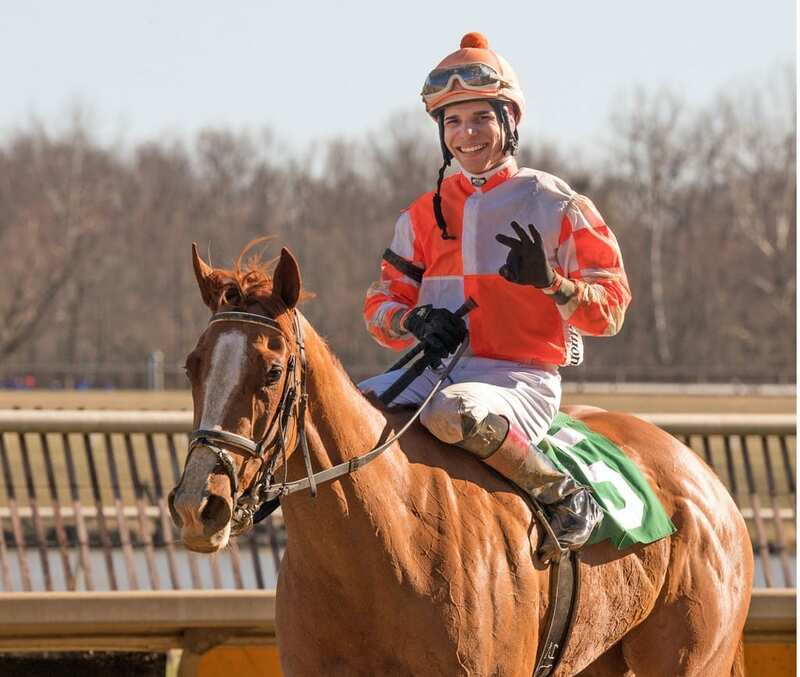 For the first time this year, jockey Jorge Vargas, Jr. has suffered through a bit of a cold spell, going winless at Laurel Park since March 11. That drought, however, has not been enough to dislodge him from the top of our jockey rankings, where he was last week and in prior weeks and continues to reside. Vargas’ overall score of 330.55 leaves him with about a 42-point lead over Feargal Lynch and Jomar Torres. Our system takes into account wins, win percentage, earnings per start, and wagering return on investment. The jockey leading the colony in each category receives a score of 100 for that category, with other riders getting a percentage of that. That would give a jock leading in all categories a perfect score of 400. In brief, the rating system rewards those who win often and in the biggest races. We applied the stats to every jockey at Laurel Park who’s made at least 30 starts and won at least one race. Despite the losing skein, Vargas still possesses a clear lead in the win column. His 35 wins are six clear of Weston Hamilton in second. Vargas is also second in win percentage (20.11 percent), just behind Lynch, and third in earnings per start ($6,831), behind Lynch and Elvis Trujillo. Lynch (288.21 points) is just ahead of Torres (287.32) for second. With a more selective book — he’s made just 74 starts at Laurel, versus Wes Hamilton’s meet-topping 191 and 174 for Vargas — Lynch is well behind the meet leaders with 15 wins. But he holds a slight lead in win percentage (20.27 percent) and also has the colony’s top earnings per start at $7,636. Torres does not lead in any category but ranks in the top five in all four of them. He is third in wins with 23 and fourth in both win percentage (18.85 percent) and wagering return on investment (he returns bettors an even $2 for each $2 win wager on his mounts). The top five is rounded out by Elvis Trujillo (258.17 points) and Weston Hamilton (248.09). Trujillo was also fourth in the prior rankings. Hamilton, meanwhile, made a big jump from 10th to fifth by winning with eight of 30 starters in the intervening two weeks; he’s second in wins with 29 and also in the top ten by win percentage and wagering ROI. In wagering ROI, Carlos Quinones ($3.44) remains the clear leader. The rankings include all races run through March 28, 2018.